FORCE ORDNANCE is the newest division of The RLD Group, building on over 35 years of excellence in engineering, manufacturing & rugged dependability. 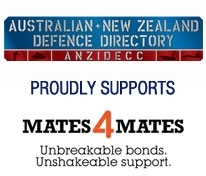 FORCE ORDNANCE supplies Australian designed & manufactured small-arms. Innovec Controls is an ISO9001:2015 accredited company (since 2005) with offices in St. Leonards NSW, Australia and Southport in Merseyside, UK. Versalux designs, manufactures and supplies LED lighting systems for maritime and defence applications. Including; navigation, signaling, searchlights, helideck, internal, external, emergency, Submarine lighting and explosion proof lighting systems. Australia’s foremost totally integrated audio visual, communications, electrical, lighting and energy management services provider specialising in end-to-end defence solutions. Over 300 staff with defence security clearances.